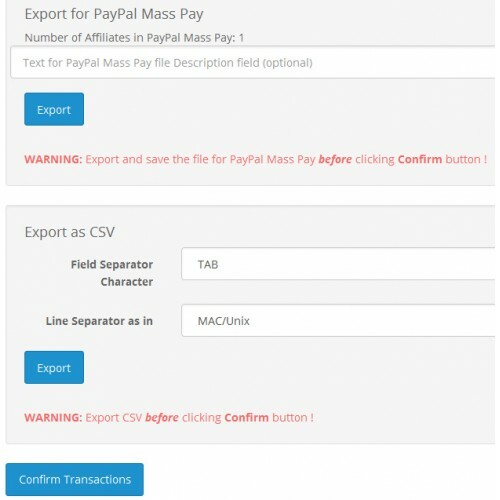 Affiliate Mass Pay module will save a lot of time for store owners, who have more than just a few active affiliates and pay them their earnings on a regular basis. 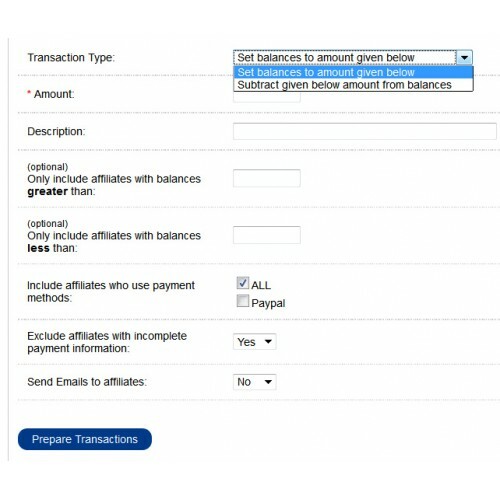 It will select affiliates according to your criteria (their balance, payment method), and prepare transaction amounts. 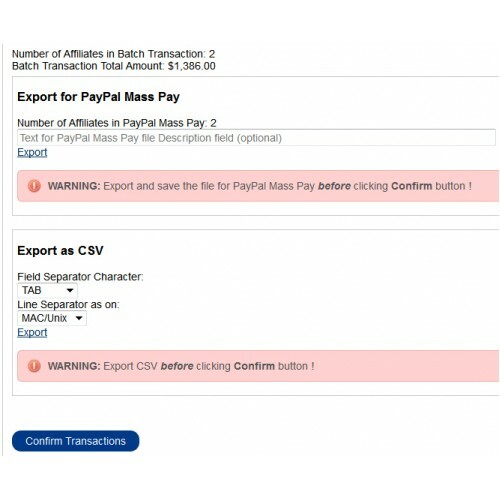 You can then export the data as a PayPal Mass Pay file and (or) as a CSV file with all affiliate and transaction information, that can be used in Excel or other spreadsheet program. And then you can finalize all openCart withdrawal transactions with just one click. The whole operation inside openCart admin will take just a couple minutes, and payment process outside openCart will be much easier too, since you now have PayPal Mass Pay file or a spreadsheet ready to go. 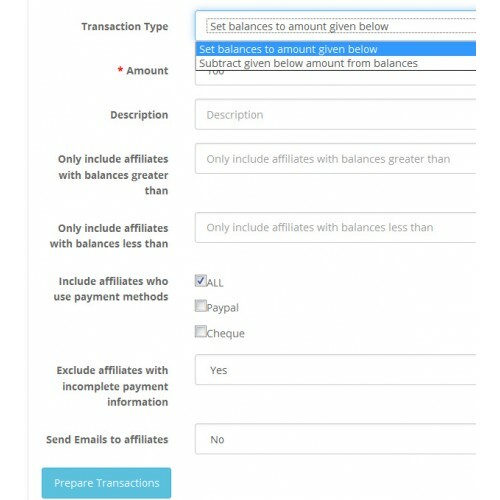 THIS MODULE ITSELF DOES NOT INTERACT WITH ANY PAYMENT SYSTEM. IT WILL NOT ACCESS YOUR BANK OR PAYPAL ACCOUNT AND IT WILL NOT TRANSFER THE MONEY TO YOUR AFFILIATES. For openCart 3 version installation instructions and documentation, see Documentation tab on the Download page. For openCart 1 and 2 version, installation instructions and documentation is included in the .zip download. This module is supposed to work with regular openCart. Though issues are unlikely, compatibility with 3rd party modules, extensions, themes or modifications is not 100% guaranteed.